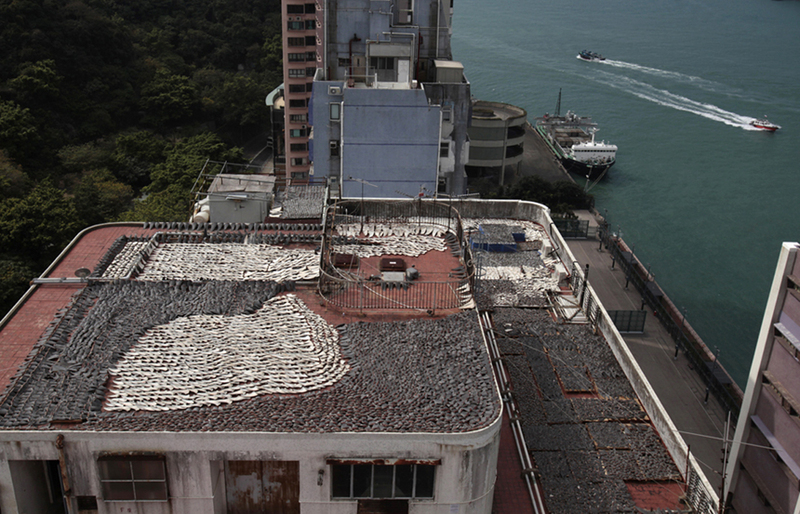 Shark fins drying in the sun cover the roof of a building in Hong Kong on Wednesday. Environmentalists have raised concerns that the overharvesting of fins is causing an environmental calamity. Hong Kong is one of the world's biggest markets for shark fins, which are used to make expensive soup at Chinese banquets. 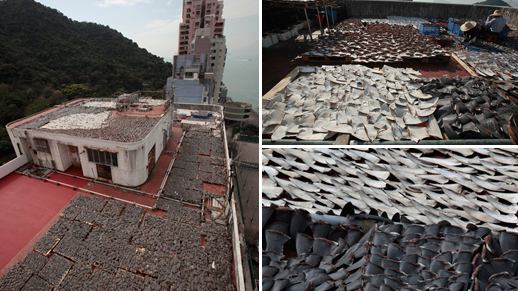 Hong Kong conservationists expressed outrage Thursday after images emerged of a factory rooftop covered in thousands of freshly sliced shark fins, as they called for curbs on the "barbaric" trade.